A study reveals the 20 leading future caused by a death. 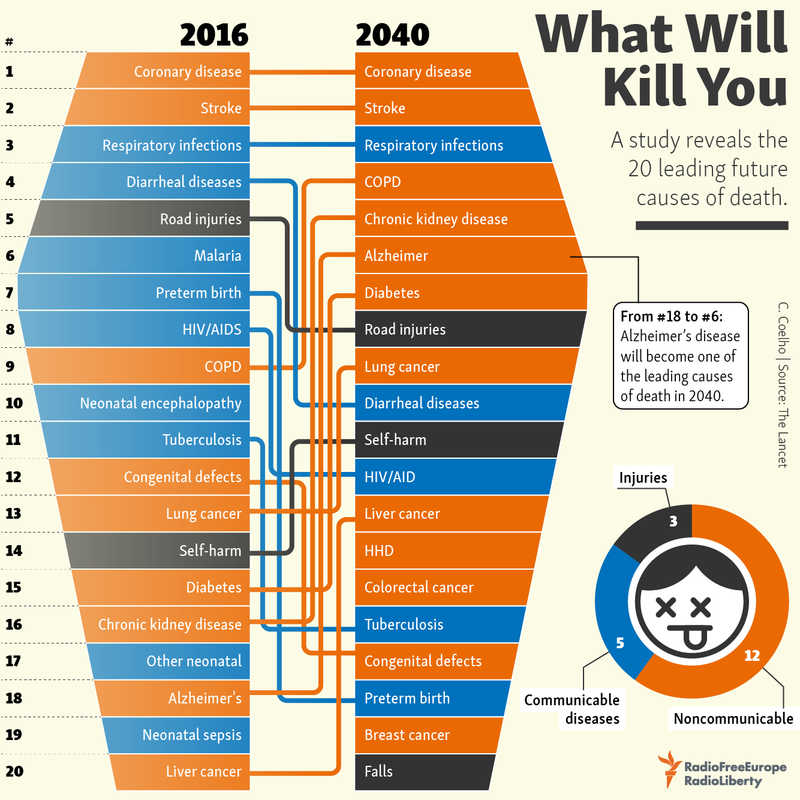 From #18 to #6 Alzheimer's disease will become one of the leading causes of death in 2040. Global life expectancy was projected to increase by 4.4 years for men and women by 2040, to 74.3 years and 79.7 years, respectively. Reference forecasts showed a 37.6% increase in total deaths by 2040, rising from 54.7 million in 2016 to 75.3 million in 2040. 12.0% of global deaths were due to communicable, maternal, neonatal, and nutritional diseases; 81.0% to NCDs; and 7.0% to injuries.